David Rudisha wanted his first visit to America to be memorable, and Saturday (9) at Icahn Stadium on Randall’s Island he made it memorable for the several thousand spectators who turned out for the adidas Grand Prix, the sixth stop in the Samsung Diamond League. Rudisha passed the 400m mark in 49.06, close behind his pacemaker, Matthew Scherer, and when Scherer peeled off at 500 metres Rudisha was so far in front of the field that the race, for all functional purposes, was over. 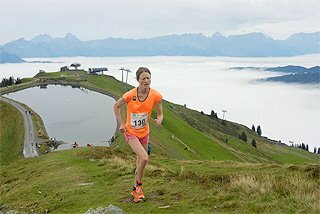 The World champion then explained, "I felt great and decided to push a little bit." "A little bit" of pushing turned into a 52.68 second lap and a 1:41.74 finishing time, a mark only Rudisha and former World record holders Wilson Kipketer and Sebastian Coe have ever bettered. Defending champion Alfred Kirwa Yego finished second in 1:44.49, followed closely by Andrew Osagie (1:44.61). 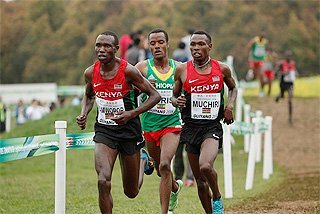 Rudisha’s primary rival, Abubaker Kaki, inexplicably veered out of the pack at approximately 450 metres and jogged off the track. Passing through the mixed zone, Kaki only said, "I’m fine, nothing’s wrong." 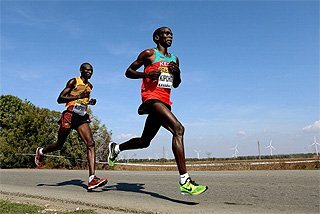 Beyond Rudisha’s startling mark, the races at the shorter distances were more about competition than they were about fast times. There were plenty of fast women in the women’s 100m field, but it was Jamaica’s reigning Olympic champion Shelly-Ann Fraser-Pryce who turned out fastest today, getting to the line well in advance of Carmelita Jeter, Allyson Felix, and Kelly-Ann Baptiste, the three fastest women so far in 2012. Fraser-Pryce made it down the straightaway in 10.92, her fastest mark so far this year, with Tianna Madison also besting the year’s fastest in a PB 10.97. Jeter, Felix, and Baptiste finished in that order, third through fifth, running 11.05, 11.07 and 11.07 respectively. 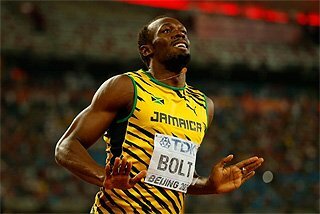 World champion Jason Richardson was facing a similarly deep field in the men’s 110m Hurdles, but as all the hurdlers said before the meet, the real competitors are the ten hurdles in front of them. Richardson kept his cool through three false starts before out-legging relatively unheralded Jeff Porter for the victory, 13.18 to 13.26. Porter’s time equaled his PB. 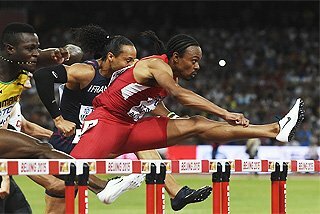 World Indoor champion Aries Merritt was disqualified for one of the false starts; 2010 world leader David Oliver was left in the blocks and finished fourth in 13.37. Four men bested the meet record in the men’s High Jump when the bar reached 2.31m, with World champion Jesse Williams, Briton Robbie Grabarz, Jamie Nieto and Trevor Barry all cleared that height on their first attempts. Williams and Grabarz both went on to clear the next two heights, 2.34m and 2.36m, without errors as well, though Barry and Nieto were not so lucky. 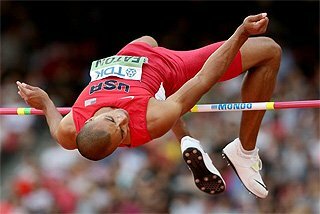 With the bar at 2.38m, Grabarz was unable to get a clearance. Williams, after one miss, passed, and because he had a clean slate up to that point, he got the win over Grabarz, who had a miss from 2.25m. Williams thus took sole possession of the Diamond Race lead over Grabarz. After a successful 10,000m last week in Eugene, Tirunesh Dibaba told reporters here she was more interested in winning than in a fast time. Sure enough, the pacemakers were essentially ignored in the early going, as Dibaba and her Ethiopian teammate Meseret Defar waited in the pack. 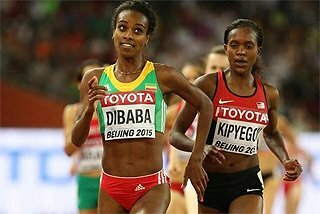 The racing began in earnest with 2000 metres remaining, when Dibaba took the reins and began a relentless quickening of the pace. With three laps remaining, the lead group had dwindled to only Dibaba, Defar, Weknesh Kidane and Gelete Burka; with two laps to go, Kidane and Burka were struggling to hang on. Finally at the bell Dibaba was fully extended, with Defar left in her wake. 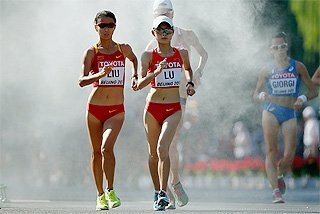 The winning time of 14:50.80 is unlikely to rank Dibaba among the fastest Ethiopians this year, but Dibaba did out-race many if not most of the women Ethiopia’s selectors would be considering to replace her, so the Olympic double champion may yet have the opportunity to defend both gold medals. Brazilian Fabiana Murer was the one with the mostly-perfect sheet in the women’s Pole Vault, entering the competition last at 4.50m (Murer and Cuban Yarisley Silva passed the first two heights) and going without a miss until 4.77m, which she cleared on her second attempt and Silva was unable to make. Murer went on to make three good attempts at 4.86m, which would have been a PB, but did not clear there. "I felt a little tired," said Murer, but called the 4.86m attempts "good." Third place went to Nikolia Kiriakopoulou at 4.60m. 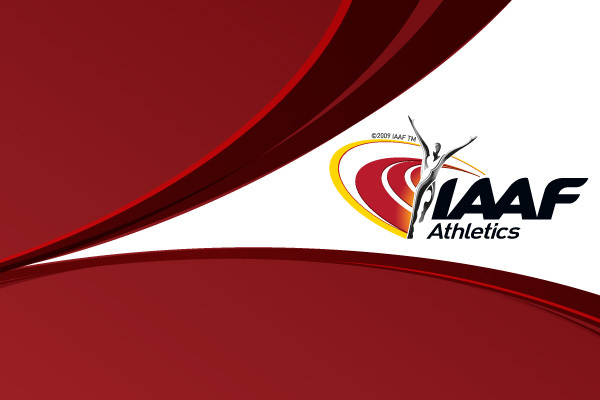 Barbora Spotakova appeared to have the women’s Javelin sewn up when she threw 68.72m in the first round, extending her own world lead along with the event record. It took five rounds before anyone challenged her mark, but when they did, it was big: South Africa’s Sunette Viljoen reached 69.35m to take over the world lead and better her own African Area Record. Spotakova improved by a centimetre in the sixth and final round, to 68.73m, but it was not enough. Viljoen now closes to second in the Diamond Race, just two points behind Spotakova. She also takes over fifth place on the all-time women’s Javelin list. "I like this track," said Viljoen after the competition, visibly pleased by the result. "It’s fast, and I was born with the talent to run. I use my speed. The conditions today are brilliant for the javelin, and since last year the intensity of our training has lifted. We’ve been working very hard coming in to the European season." 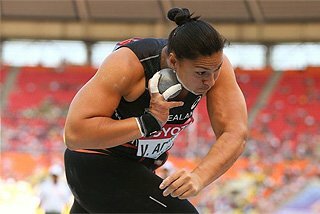 Valerie Adams left no doubt as to who was the class of the women’s Shot Put, extending her own meet record three times in the first five rounds with a best of 20.60m. "I’m happy with the win," Adams said. "I didn’t expect to be this jet-lagged. As an athlete, you always want to do better." Jill Camarena-Williams, the bronze medalist in Daegu and U.S. record holder, took second with a 19.62m toss, the best in the first round. Diamond Race leader Olga Rypakova set a meet record of 14.71m in the first round of the Triple Jump, and the competition pretty much ended there; neither Rypakova nor anyone else improved on that mark through the remaining rounds. Kimberly Williams at 14.45m in the second round got closest to Rypakova’s leading standard. 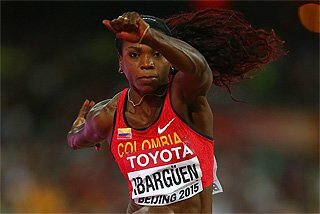 Two-time World champion Yargelis Savigne never really found her pattern, fouling twice early and only able to skip out to 14.05m for fifth. Fantu Magiso celebrated her own 20th birthday by lowering her own Ethiopian national record with a PB 1:57.48 in the women’s 800m. Magiso overtook the pacemaker before the 400m mark (reached in 58.12) and sailed away from the field unchallenged. In Magisu’s wake, Molly Beckwith (1:59.18) won the battle for second over Briton Marilyn Okoro (1:59.37). World 1500m champion Jenny Simpson was never in the race and finished ninth and last in 2:05.79. It took a photo to separate Churandy Martina and Jamaica's Nickel Ashmeade in the men's 200m, with the nod finally given to the former. Both were credited with a 19.94, which is a Dutch national record for Martina whose previous best was 20.08 from 2010. Warren Weir of Jamaica was a distant third in 20.08. Four men came off the second turn together in the men’s 400m, but it was Luguelin Santos who emerged from the crowd halfway down the homestretch to take the win in 45.24. Jeremy Wariner held on for second in 45.30 with Christopher Brown third in 45.35. Mitchell Watt may have had the most hair-raising victory in the field events as he leapt 8.16m in the first round of the men's Long Jump, adding 30 centimetres to the meet record, but then fouled each of his subsequent five attempts. 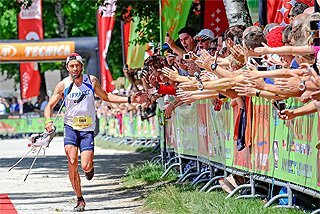 As Watt was going for the long marks, his Australian countryman Fabrice LaPierre reached 8.14m in the third round, putting Watt in danger of losing his lead and his new record, but LaPierre did not improve further and Watt held his victory. Zoltan Kovago moved within a point of Diamond Race leader Ehsan Hadadi by taking the victory here with 66.36m, but it took him four rounds to get there. Vikas Gowda of India took the lead in the second round with a toss of 64.86m, while Kovago looking for his rhythm in the first three rounds. He finally hit his stride in the fourth round with a 66.36m throw which left him just a half-metre short of the event record, Kovago didn’t look back, although his last two attempts were fouls. Yennifer Casanas moved into second with a 65.21m toss in the final round, leaving Gowda in third. T’erea Brown ran 54.85 to defeat top-ranked Kaliese Spencer in the women’s 400m Hurdles, overtaking Spencer after the last hurdle to eke out a 0.06-second victory. Both Brown and Spencer were under the old meet record. Spencer retains the Diamond Race lead, however, with eight points, as Brown moves into second. Yohan Blake and Tyson Gay won separate heats of the men's 100m, with Gay, testing his race fitness after a long injury layoff, running 10.00 into a 1.5 m/s headwind, and Blake winning the headline race in 9.90 with a 0.7 m/s tailwind. Blake snatched his victory from the jaws of Keston Bledman, who ran 9.93 for second and kept Blake from being secure in his lead until the final strides. Sanya Richards-Ross hoped for a PB at 200m and got one, running a world-leading 22.09 into a headwind to defeat Bianca Knight and underline her own return to fitness. Knight at 22.46 ran her fastest time of the year as well. 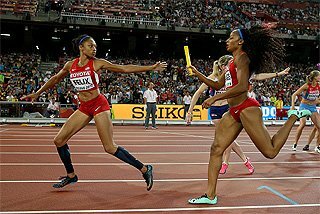 "I was trying to work the start and finish fast," said Francena McCorory, the winner of the women’s 400m. McCorory ran a PB 50.06 to defeat Novlene Williams-Mills at 50.10. Bernard Lagat bided his time in the crowded 1500m field before making his way out at the bell and taking the win in 3:34.63, pressed to the line by Ayanleh Souleiman, who ran 3:34.73. The Samsung Diamond League resumes in Paris on 6 July.